Since starting in 2012, we have been relying on our 1 and 10 Ton manual injection molders. 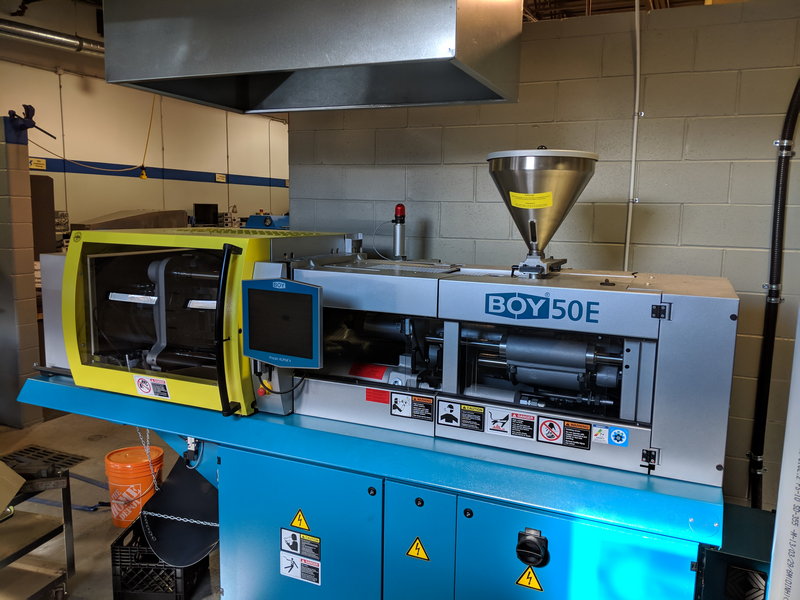 While it has been a long journey getting things up and running we now have access to an automatic 50 Ton Boy Injection Molding Machine. The machine has run it's first 600 parts, and can't wait to run a whole lot more. Our manual ;machines require an operator to remove the parts between shots, an automatic machine adds automatic ejectors allowing the machine to run with minimal operator supervision.